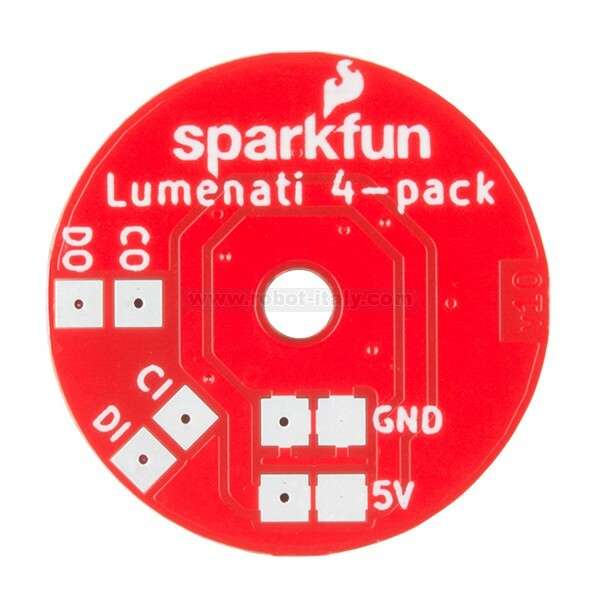 Designed to give your projects an edge in their lighting capacity, the SparkFun Lumenati 4-pack is a coin-sized board equipped with four APA102C LEDs surrounding the outer edge. 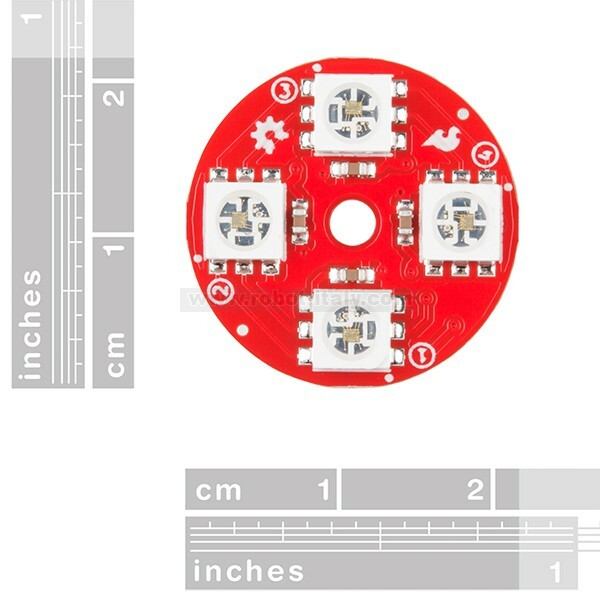 Note: This product only includes one board, not four. 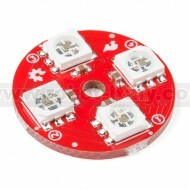 The term “4-pack” refers to there being four APA102C LEDs equipped to the Lumenati.